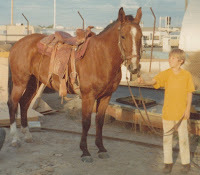 If writing were riding, I’d have fallen off the horse and landed in the ER more than once. I seem inclined to cling, stumble, plummet to the ground: Then get back up, like some sort of indomitable horse-loving fool. (Or head-injured, masochistic fool—you decide). Here I am: back in the saddle. Pulled out my children’s book manuscript and read it to the chickens (they love it. They giggle and ask for more. Too bad they aren’t publishers), identifying weak areas to work on. Brainstormed a YA novel idea. Do I know how to write YA? No. Do I even know how to write fiction? No. Does that matter right now? No. So: enough with the life analysis and on with the living, already. I’ll keep you posted, unless the NY Times calls, in which case I’ll be doing cartwheels in the yard and drinking champagne. Possibly simultaneously.